When the Lusitania is torpedoed and sunk, taking with it his beloved aunt, Beverly Bethany Quinn, Ansel Quinn finds he is the last of his family line. Her diary, coupled with Europe on the brink of WWI, sets off a chain of events, sending Ansel on an epic quest for honor and self. Wilson had vowed to keep America out of another war. Ansel had sworn to serve his country. Fate’s cards trumped them all. From rural Mississippi to the trenches of Verdun, no one is who they say they are, nor will anything ever be the same again. Thomas E. Simmons grew up in Gulfport, Mississippi, attended Marion Military Institute, the U. S. Naval Academy, the University of Southern Mississippi, and the University of Alabama. Tom was once the commercial captain of a seventy-foot sailing vessel, has been a pilot since the age of sixteen, (3000 plus hours in the air), has flown professionally, and participated in air shows flying aerobatics in open-cockpit bi-planes. In the late 1950s, he served as an artillery officer in Korea. He is the author of The Man Called Brown Condor, Forgotten Heroes of World War II: Personal Accounts of Ordinary Soldiers Land, Sea and Air, Escape from Archangel, By Accident of Birth, and The Last Quinn Standing. He has also written numerous magazine articles, an example of which, “Growing Up with Mr. Faulkner,” was published in The Oxford American, a literary magazine founded by John Grisham. 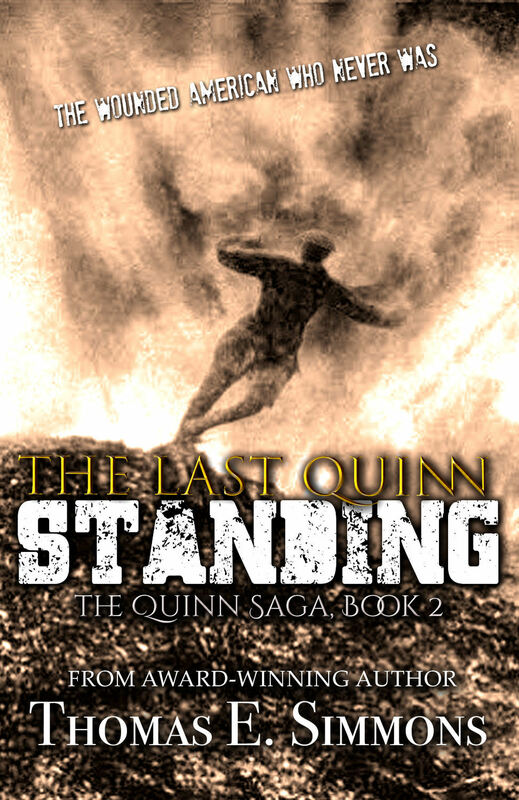 He is currently working on the last of the Quinn Trilogy, Yesterday a War, Tomorrow a War, a Family in Between.